We had a very quiet and relaxing long weekend due to the fact that Rob is fighting a horrible cold/flu. We only left the house once on Saturday, in the morning to get groceries. We didn't leave the house at all Sunday except to sit in the backyard for a while. Monday we decided to go out and enjoy the sunshine and warmer weather even though he wasn't feeling the greatest. We started with brunch at the Sunset Grill in Bloor West Village. It was ok, Dr. Generosity wasn't opened yet or we would of went there. 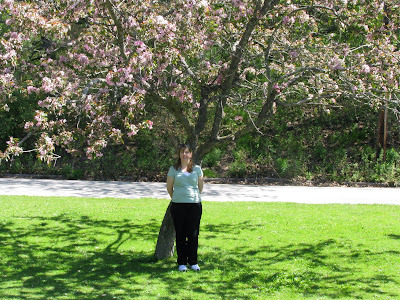 Next we went to High Park for a walk. 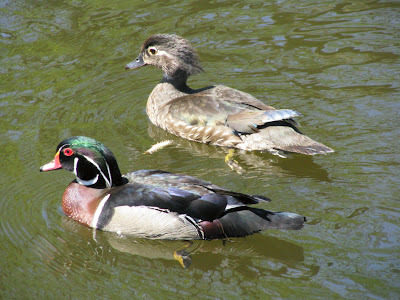 Below are pictures of some of the things we saw during our 2 hour stroll. 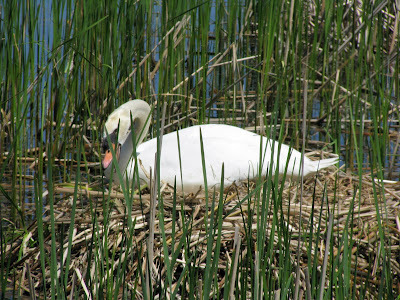 Female Swan sitting on her nest. Tree Swallow perched high above us, next to his house. 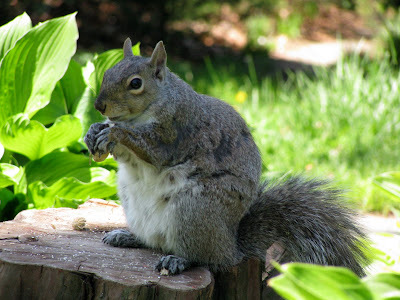 A grey female squirrel grateful for a peanut. 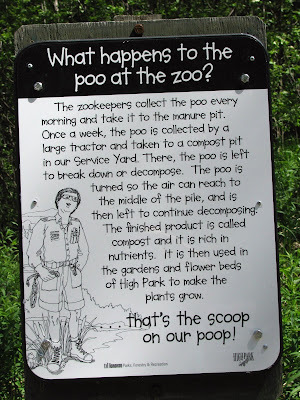 I found this sign interesting and amusing down at the small zoo in High Park. Good that you got out yesterday. Probably did him a world of good. Wishing Rob a truly speedy recovery!